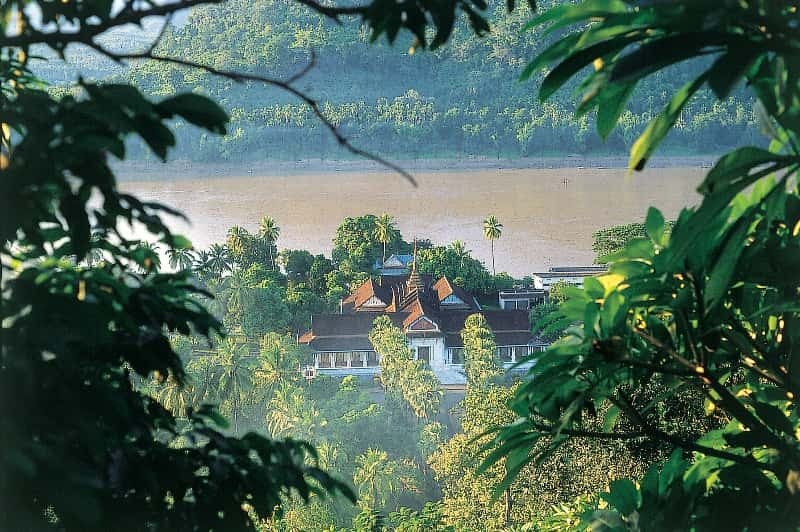 Laos is often overlooked in favour of Thailand or Vietnam, but there's so much to see here. From saffron-robed monks and amazing waterfalls in Luang Prubang to the adventure town of Vang Vieng, our trips to Laos create the perfect combination of activity and tranquility. The vernacular architecture that other countries have swept away in a maelstrom of redevelopment survives in Laos. Simple wooden village homes, colonial-era brick-and-stucco shop houses and gently mouldering monasteries mark Laos out as different. Traditional customs are also firmly intact: incense wafts out of street side wats, monks collect alms at daybreak and the clickety-clack of looms weaving richly coloured silk can be heard in most villages. As compelling as these sights and sounds are, the lasting impression for most visitors is of the people and their overwhelming friendliness. Many believe the best thing about Laos is the constant chimes of sabaidee ringing out from schoolchildren, monks and other passers-by, extending an invitation to join their meal. This is a land that endured the terrible legacy of being the most bombed country per capita in the world, yet its people transform bomb casings into flower pots and bomb craters into fish ponds. Regardless of their history, people here radiate a sunny, happy disposition. Life is simple in Laos but the people share with their former French colonists an infectious joie de vivre that ensures that good food and great company is the pinnacle of enjoyment. If you’re seeking a relaxed lifestyle and a warm welcome, you’ve come to the right place. Laos, but it is a beautiful country with a great deal to offer. The capital, Vientiane, has French architecture and a laid-back atmosphere; the former royal capital of Luang Prabang – designated a World Heritage Site by UNESCO – is a charming little city stuffed full of striking religious buildings; Wat Phou, an outlier of the former Cambodian kingdom of Angkor, is beguiling too, and the Plain of Jars continues to fascinate visitors with its enigmatic stone urns and devastating war history. The north offers adventure activities and treks amongst ethnic villages, while the Mekong islands in the far south are a great place to relax, swinging in a hammock and watching dolphins.